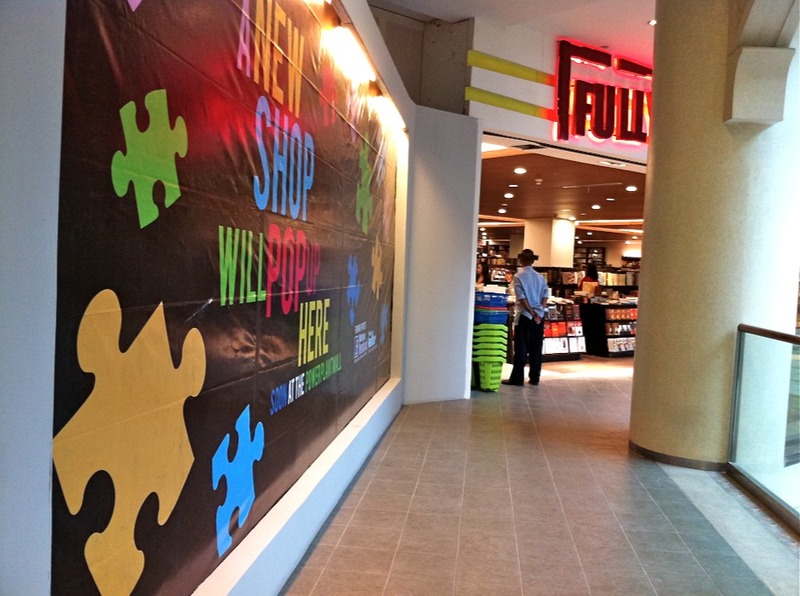 the fash pack: muji madness begins today! yesterday morning, select members of the press, a few bloggers, and friends of SSI were treated to a special sneak peek of muji. 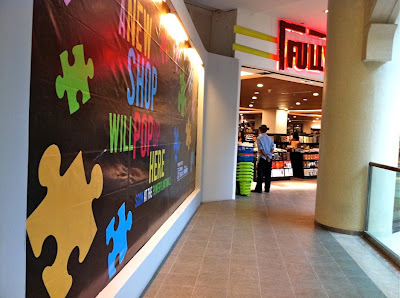 and shopping! without the crazy crowd!! 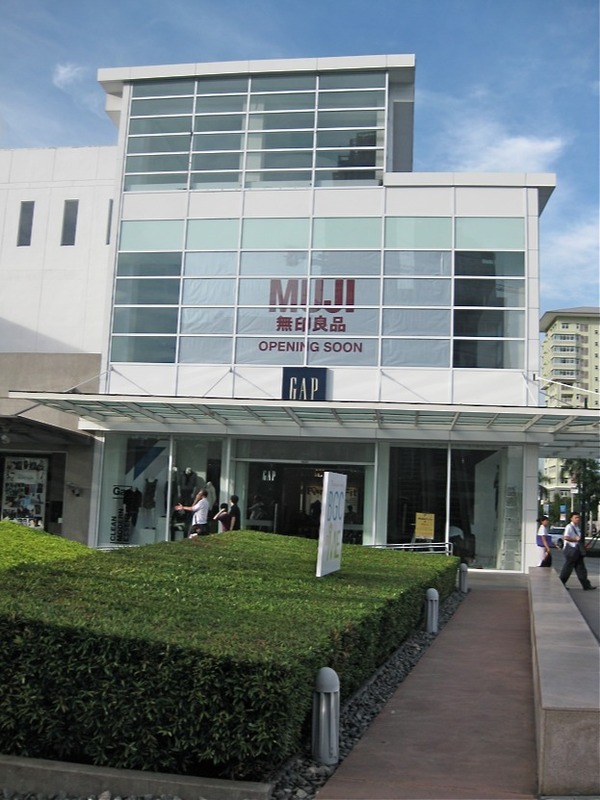 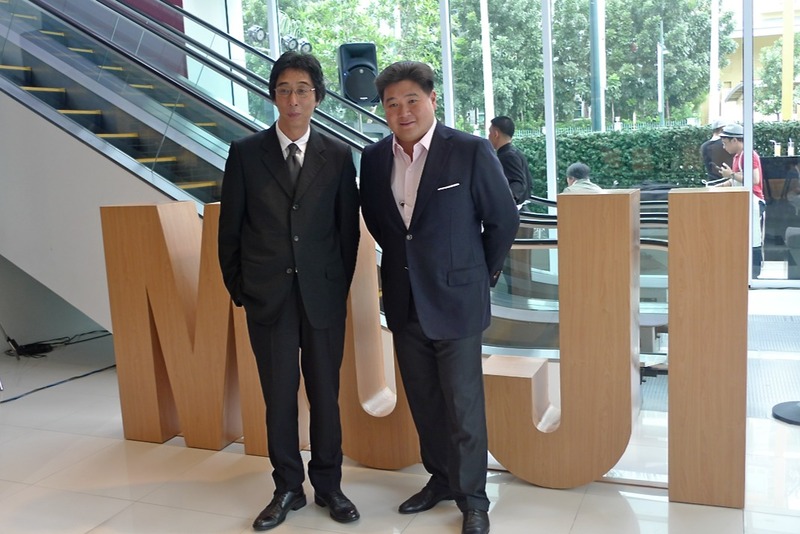 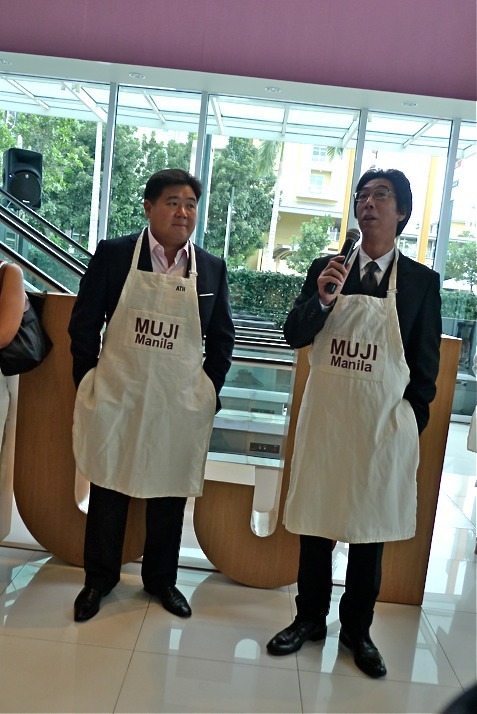 store specialists inc's anton huang was there to welcome guests, as well as the president of muji japan, masaki kanai. 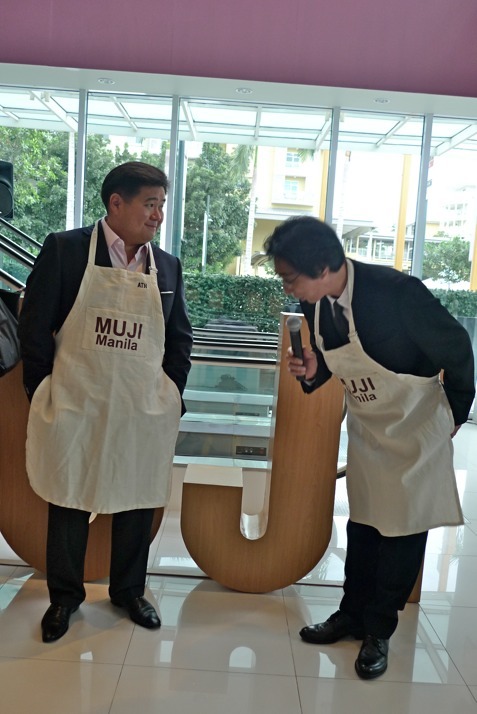 how cute are they in their muji manila aprons! 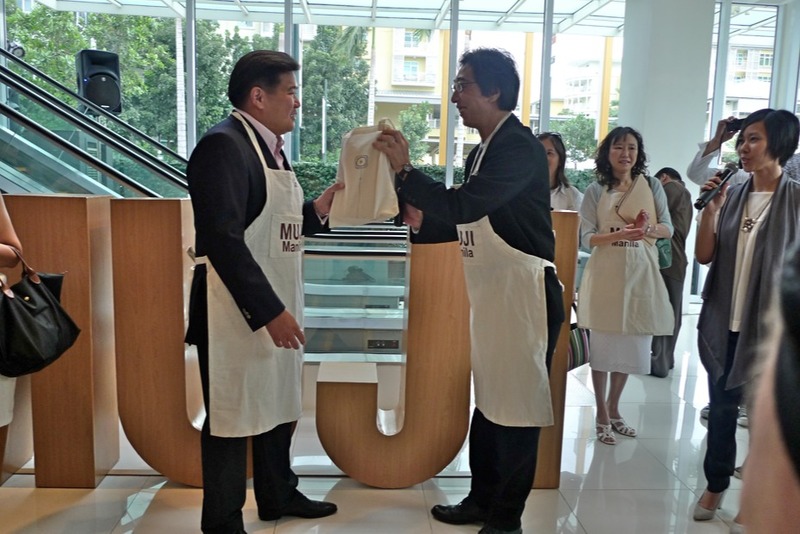 all guests were given one to wear as we signed in at reception. 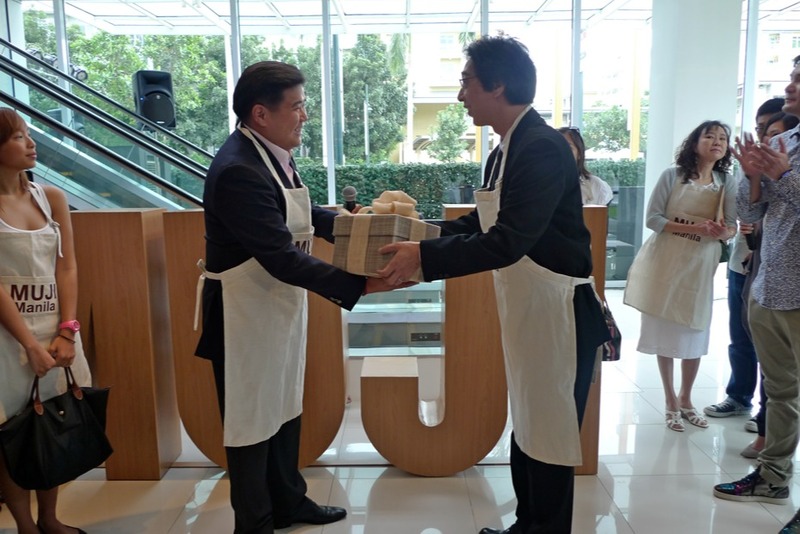 (but take note, anton's was monogrammed pa.) they even bowed to each other as formal greeting and exchanged gifts as is customary in japan. 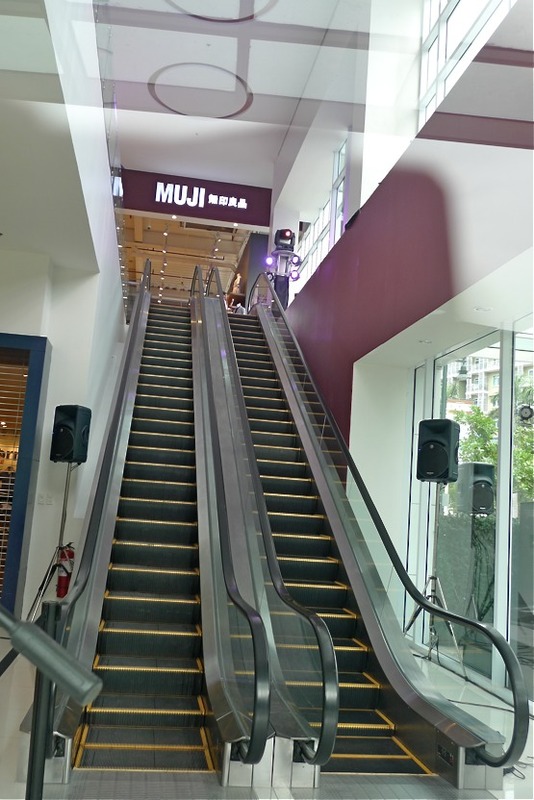 now let's go up that escalator! 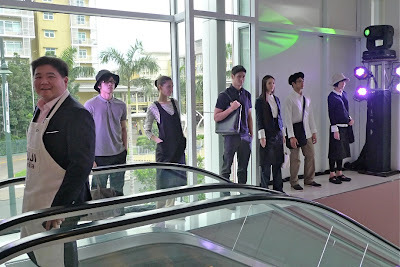 look, live mannequins on the ledge! 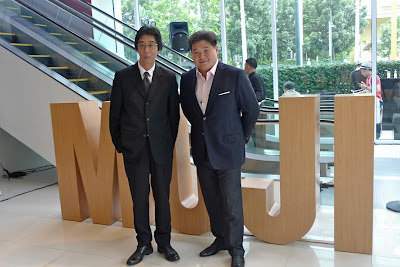 how cool is that?? 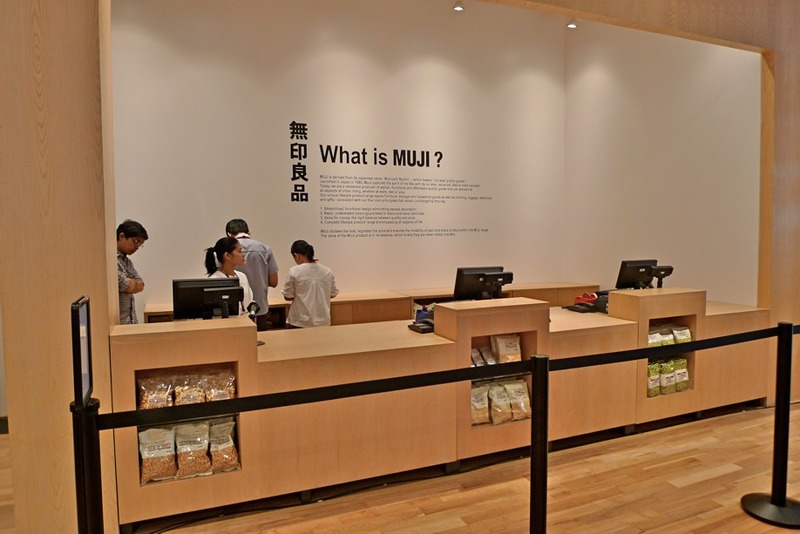 and here it is, the muji we know and love and make a mad dash to every time we're in hong kong or singapore or wherever they have one. 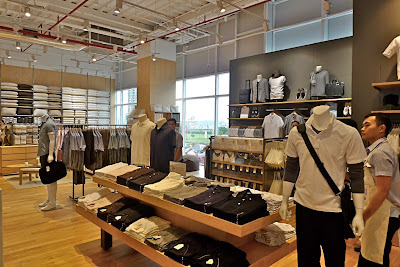 it's like being transported to another place and time—like nothing bad can happen here, everything is clean and orderly, and the stuff you long for (or just want to stare at hehe) are all here! 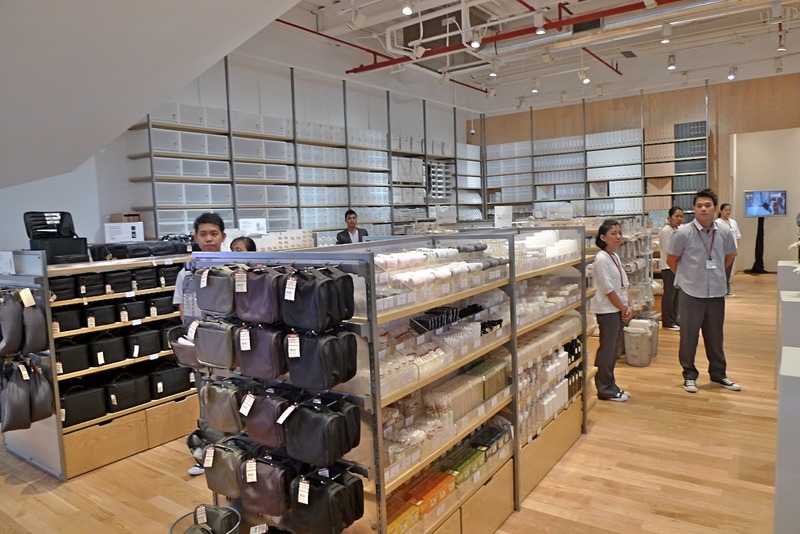 now we can use that muji-time abroad to shop elsewhere because now we can leisurely browse these aisles whenever we want to! 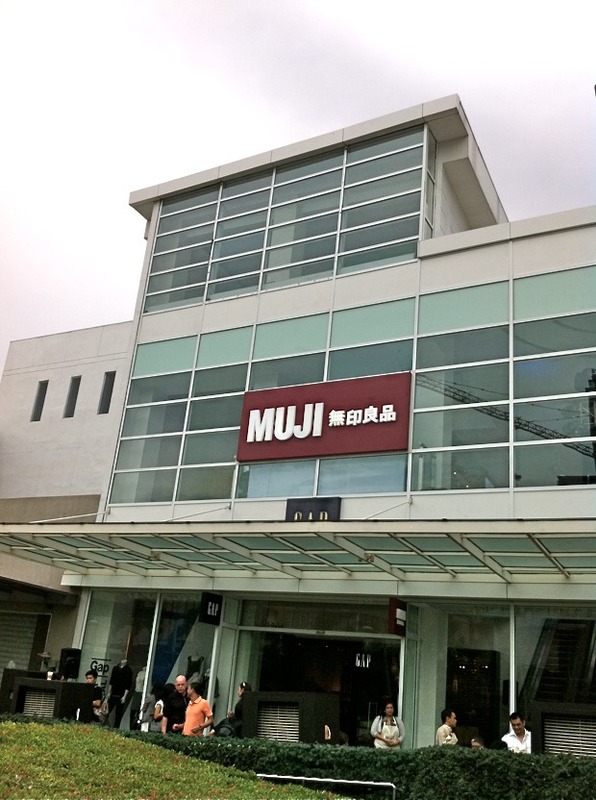 i love muji! 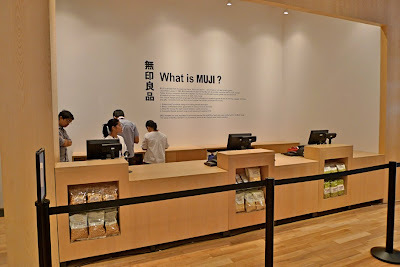 can't wait to storm muji!